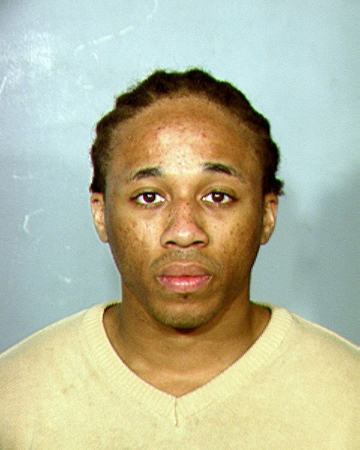 Two men have been arrested in the killing of a teenage boy over an iPad in Las Vegas, police said on May 19. Jacob Dismont, 18, and Michael Solid, 21, were booked last Saturday into the Clark County jail on charges of open murder, robbery and conspiracy to commit robbery. Dismont is accused of trying to wrest the tablet away and dragging Arenas toward the SUV when the youth wouldn't let go of the device. After Dismont re-entered the vehicle and Solid sped away, the teen was dragged until he fell. The vehicle ran over Arenas and he died at a hospital. “I think both the public and police department share the same sentiment that this was a senseless act of violence,” police spokesman Bill Cassell told The Associated Press. The suspects succeeded in making off with the device, officers said, but it was not immediately recovered. Ivan Arenas said he bought the iPad for his son less than two months ago. The family has never had a lot, the father said, and his son valued everything he had. Similar thefts of iPads, IPhones and other Apple devices have become so widespread nationwide that the crime has earned the nickname, “Apple picking,” Cassell said. “This is a nationwide phenomenon where thieves are targeting individuals who are carrying them,” he said. Police urge victims of such crimes to always let go of the devices. According to investigators, Solid has an arrest record of possession of a stolen vehicle, petty larceny, robbery and assault. Dismont does not have any prior adult arrests. Arenas family spokeswoman Tabitha Guertler said family members are relieved by the arrests and grateful for the quick response by police and the public. The oldest of 10 children in the family, the teen was a student at Bonanza High School. The attack occurred in the late afternoon about a half-mile from the school.